Discussion in 'Guitars in General' started by Dropberger, Dec 8, 2016. So... I've recently purchased a 2012 traditional goldtop, just wondering which mod I should make to it first. 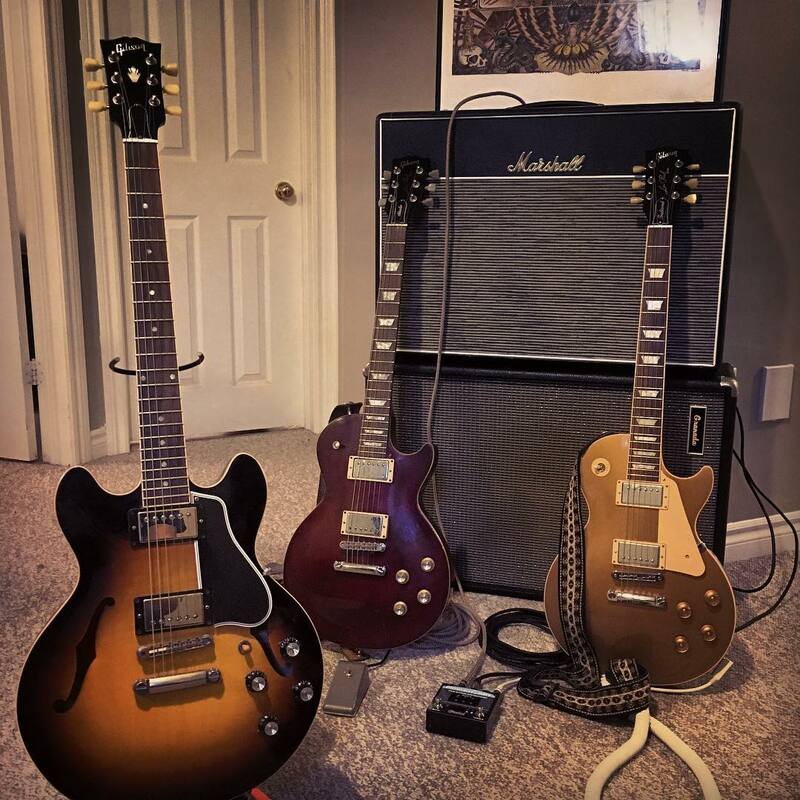 I have been flip flopping between a bigsby or a new set of pickups. The pickups I've been leaning toward are the Sanford Magnetics 1812s. They're a low DCR alnico IV pickup. They're from Canada and I like the idea of using something from my side of the border. Pickups first, I'd say. You use pickups 100% of the time. Rad looking setup. Thanks man. I'm leaning toward the pickups as well, however the bigsby definitely adds something 'mojo'-wise to the guitar. I really like the way it thins up the fundamental LP sound too, as well as adding another tool to the guitar. I always miss my strat's arm on my gibsons. The guitar already HAS pickups. It doesn't have a Bigsby. Drawde and Dropberger like this. 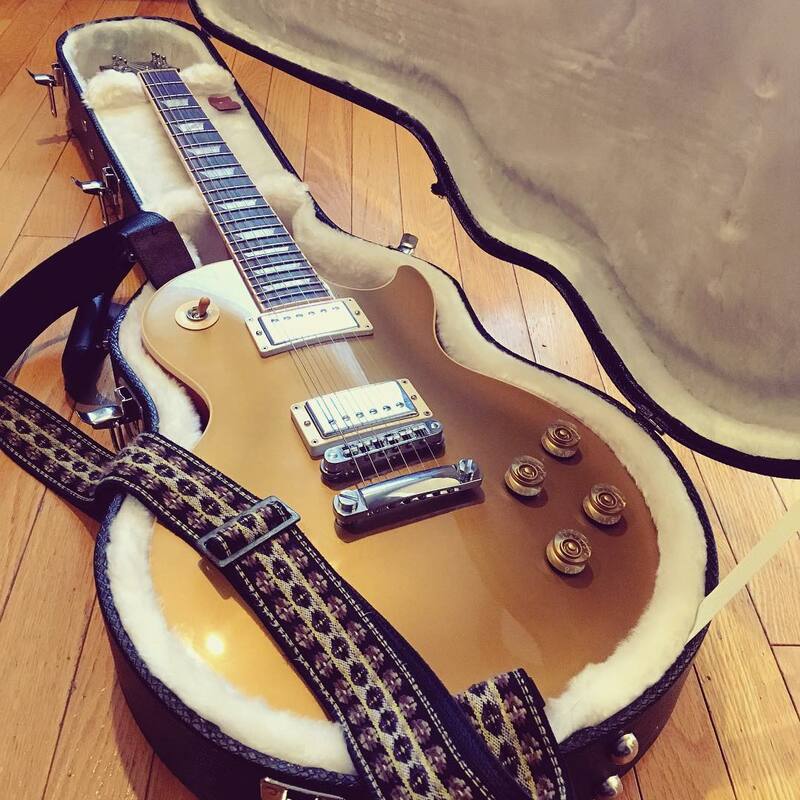 But if you do the Bigsby and don't like the results, you will have a boogered-up gold top on your hands unless you get the kind of Bigsby thing that purportedly goes on without any modification. I say, don't do anything permanent. This is true..I would be overspending to get a vibramate. This guitar feels great atm, but the honeymoon may still be strong so we'll see how she goes. Once it's "mine" for sure, I don't mind drilling holes into it at all. I would go Bigsby first - get a B7 with the Vibramate kit. Very quick modification that will not mar the top. I added to Bigsby to my 03 Les Paul Supreme. I like Gibson stock pickups - you might just experiment with pick height and pole adjustments. Why are you looking to change anything at all? If the answer is "because I like tweaking things" then there's no real answer other than what you can afford first. If you feel like you need something that you don't have, adding a trem would be the actual answer. And if you have all those different Gibsons, maybe you get a trem that doesn't modify the guitar, and you can swap it between all of your guitars until you find the place that it works the best! This is by far the best advice so far. I'd add something but why add to something that is perfect the way it is? 50's wiring, 500k tapers, russian caps.